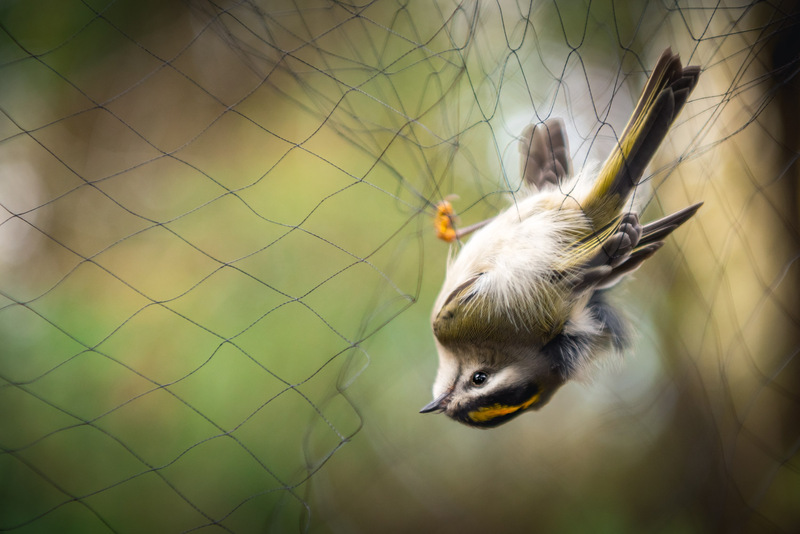 Mist nets are a commonly used method for capturing birds for research. Made of fine nylon or polyester mesh, and suspended between two poles, the nets are virtually invisible. When a bird hits the net, it falls into a pocket, where it becomes tangled.